What is Spotted by Locals? 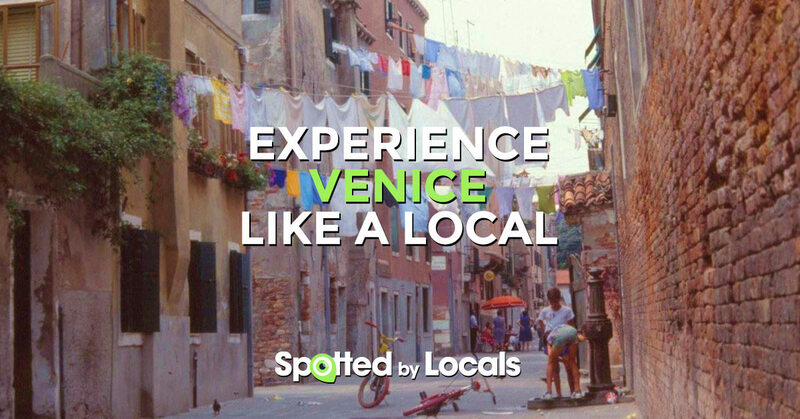 Spotted by Locals is an online publisher of city guides. But what makes the contents proposed by Spotted by Locals unique is the fact that all the reviews and tips offered to the public come from the residents of the cities presented. The founders, Sanne and Bart van Poll, aim to offer the best “tips” to those intending to visit a foreign city, provided by those who live in and breathe that city each and every day. A bit like discovering the secrets of a city thanks to the advice of a friend! The article by Alessandra Bellomo for Spotted by Locals is presented below. 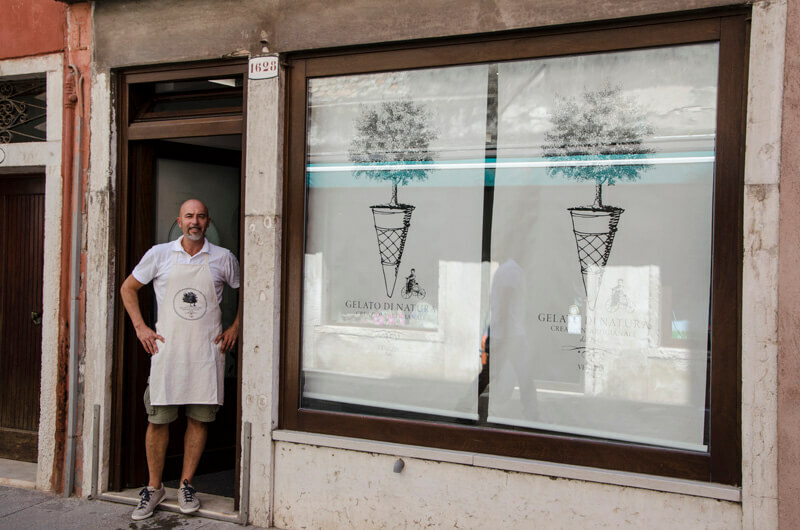 In the beautiful setting of the Campo San Giacomo square, there is the ice-cream parlour “Gelato di Natura”. I discovered this small shop only by chance, but, from then on I’ve come back here very often, when I want to give myself a little “ice-cream break”. In fact, I prefer their ice-cream over others for many reasons: when you taste it, you can really taste the flavour of the fruit or of the main ingredient (for example, you could try the pistachio flavour, made with pistachio from Sicilia). Indeed, one of the values promoted at Gelato di Natura is the accurate choice of the raw materials. Moreover, when I try a new ice-cream shop, as someone with a long-time lactose intolerance, I am always curious to find out if there are some milk-free flavours and, if so, to try them. Here, with this in mind, you’ll remain surely satisfied. Besides the classic flavours, you can try the milk-free ones: the most special one is, in my opinion, the dark chocolate, because even if it’s made with water instead of milk, you can taste the strong flavour of chocolate and you won’t notice the difference at all. You could experiment with the milk-free fruit flavours too, for example during the summer season, the berries or the passion fruit one. At Gelato di Natura, the portions are always generous (spruced up by the constant kindness of the staff) and the prices reasonable, suitable for everybody’s pocket!